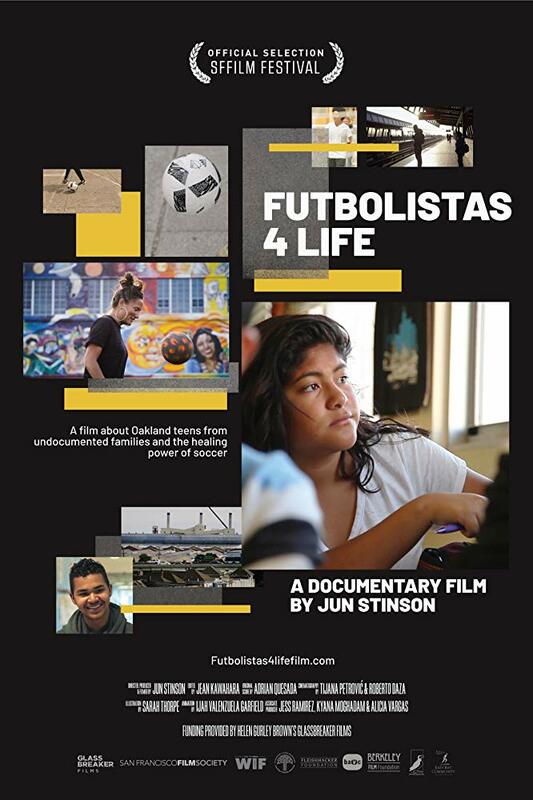 The story about immigrant and undocumented students in Oakland, who forge a life through soccer, stirs empathy and action. But the journeys and circumstances behind this film should also be appreciated. Life Academy High School is a public high school of 250 students, in Oakland, California, a city with a USA Top 20 murder rate. At the beginning of the film, four young people in the school’s community have been killed by street violence, and one has been taken by ICE. Like the city, the Oakland Unified School District (OUSD) has also been under duress and in turmoil for decades. Although it is not covered in the film, for Life Academy to continue is another story of resilience. I wondered how a public high school could be so small and yet not be a charter school. It turned out that School Superintendent Tony Smith came to OUSD in 2009 with a mission to create “full service” community schools that provided social services as well as education. He resigned in 2013. It appears that Life Academy is still active, but it is hard to tell because its website has not been updated since 2014, and school review websites have not updated Life Academy’s performance scores for since 2015-2016. Coach Dania Cabello may be the students’ key driving force of resilience. Her work as a fitness trainer funds her ability to volunteer with the community. She founded the “Futbolistas 4 Life” after school program along with a few students at Life Academy (hence the dual meaning of “4 Life” in the program’s name). Cabello is a former UC Berkeley and pro player who grew up in Oakland herself. She understands refugee issues because in 1976, her family fled from the Pinochet military regime in Chile. In the beginning of the film in 2012, Coach Dania applies for and receives a $100,000 grant from the USSoccer Foundation to build a field on the Life Academy campus. The field is completed in 2014. Coach Dania, now at St Mary’s College in nearby Moraga, continues to work on themes of sports as a place to play in joyful resistance, where one can exercise and express freedom of movement. The Equalizer posted a recent article, where she filled in more of the aftermath of her time at Life Academy. Sadly, the interview indicates that the turf field may not have fulfilled its community objectives. Soccer fields and places to play are so scarce in the Bay Area, that I knew access to any public field would be difficult to limit. We have this problem everywhere. So it was no surprise to me to read that in the evenings, the field is mostly rented out by pay-to-play soccer organizations from outside the local Fruitdale neighborhood. On my side of the Bay, this can be hundreds of dollars for each field session. The main difference between public and private facilities is that it is pretty much impossible for public facilities to deny rental to anyone who can pay. As another example of resilience, Director Jun Stinson spent 6 years putting the film together. I’ve reviewed other documentaries where 2 to 4 years of incubation and struggle are typical (In the Game , Men in the Arena). The biggest problem with taking longer to finish a documentary is its timeliness; not only does a market window close, but the subject changes, or new facts emerge. In Stinson’s case, the situation for undocumented people became far worse, which made her themes of migrants even more relevant. But the apparent state of the high school declined. The students did not continue to thrive. The Futbolistas 4 Life program appears to have terminated after Coach Dania left. So to keep the film inspirational, Stinson has to ignore some negative outcomes. If she wants her film to make its market window, get out there, and be successful as a #Resist viewpoint, she has no choice. But for research nerds like me, it is a little disappointing when the truth is discovered. Although while researching, I came across an earlier 2011 soccer documentary by Jun Stinson, called The 90th Minute, which details the struggles of the former Women’s Professional Soccer league (I was a season ticket holder for both the WUSA and the WPS leagues). I’ve added this 20-minute documentary to my To Watch list.